this cake is a crowd-pleaser, and i’d recommend making it if you have a lot of time on your hands. 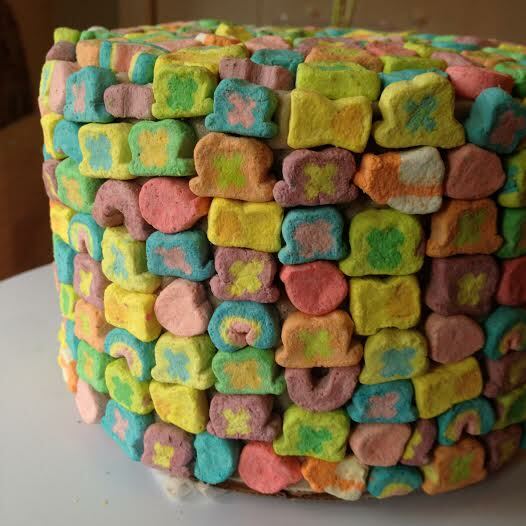 the process of picking all the marshmallows out of the kibble-like cereal requires punctilious patience, as does sticking them onto the cake in a way that no two of the same are touching. i thrive on that sort of compulsive activity, but it’s not for everyone! 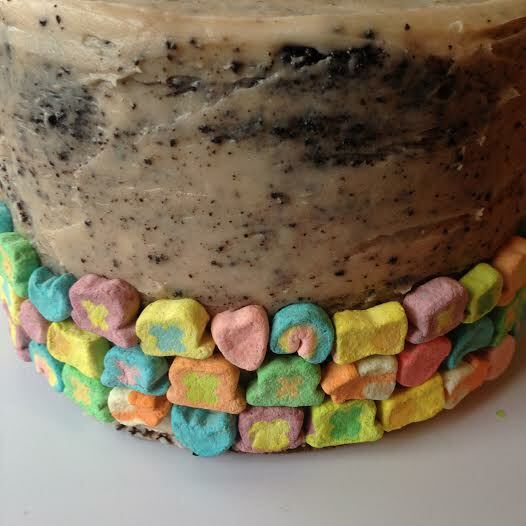 i made tall layers of dark chocolate cake and frosted them with a bittersweet chocolate buttercream – the bittersweetness helps to offset the saccharine marshmallows. crushed cereal is sprinkled between the layers for added texture. this cake is inspired by alana jones mann, one of the most perfect people to grace the earth. pulse a handful of cereal in the food processor or put some into a ziplock bag and crush it with a rolling pin. 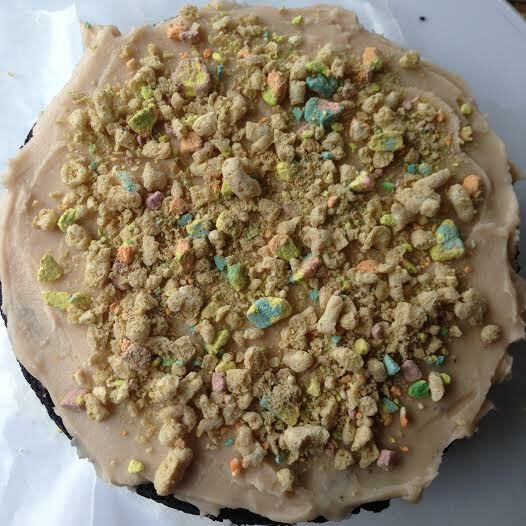 level the cakes, spread one layer with a generous amount of frosting, and sprinkle on the crushed cereal. top with the other layer and crumb coat. chill in the fridge or the freezer for half an hour. 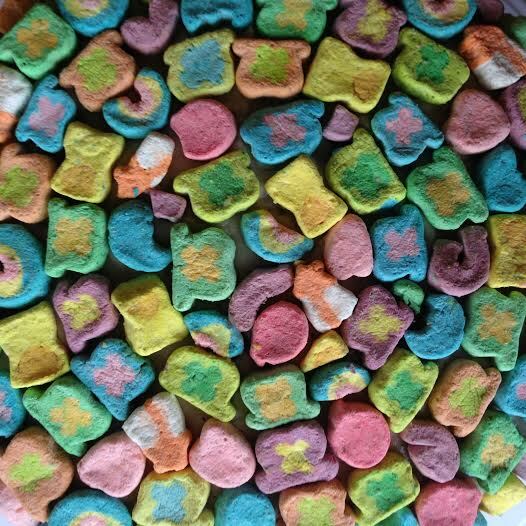 meanwhile, pick out all the marshmallows from one of the cereal boxes and some from another box. once the cake has chilled, stick the marshmallows on in an organized/disorganized fashion. it’s up to you! eat while playing games on luckycharms.com (this post was not sponsored by them, i just really like the games).